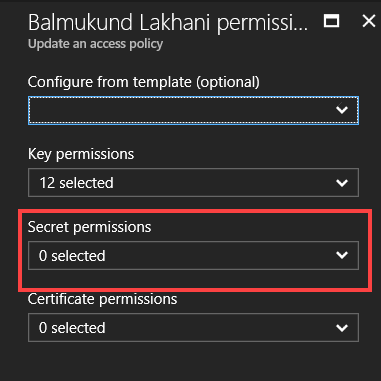 I have come across a situation where I was trying to configure Always Encrypted feature using SSMS. I was trying to use Azure Key Vault to configure it but getting an strange error. Here are few link which you can use to read more about the subject. Here is the text of the error message. Note that you might see “Backup” or “Restore” instead of Recover below. If we click on “Show Technical Details” icon, we see below stack. If you are a geek then you can understand that SSMS is trying to get values in the Combo boxes. If there is a working subscription, then we can see that there are two combo boxes there, Subscriptions name(s) and Key Vault name(s). 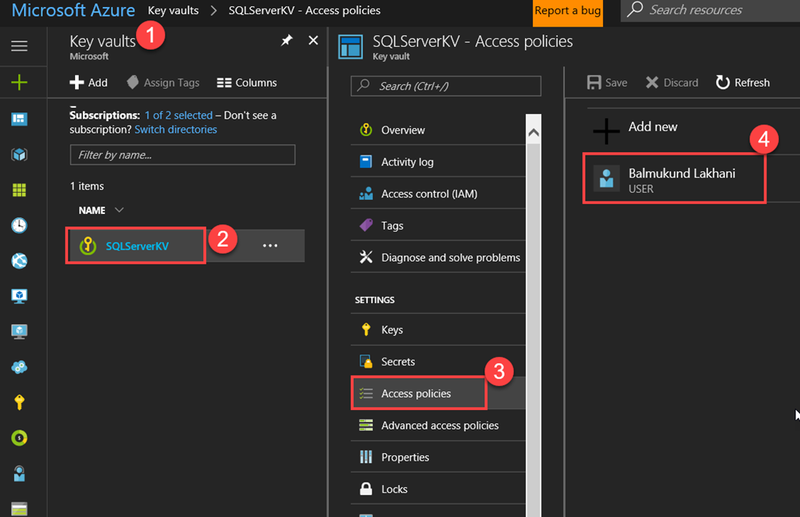 Login to portal using the same account which you are using in SSMS. Look for existing Key vaults defined. Go to “Access policies” blade. Once we click on user, I selected below permissions. The error message in SSMS might say “Backup” or “Restore” or “Recover” based on what we select under “Secret permissions” There should be NONE selected from there. After setting permissions as above make sure you use “save” button to make changes. Hitting OK on previous screen doesn’t make the changes. You have to check other Vaults also to make sure those settings are not there. 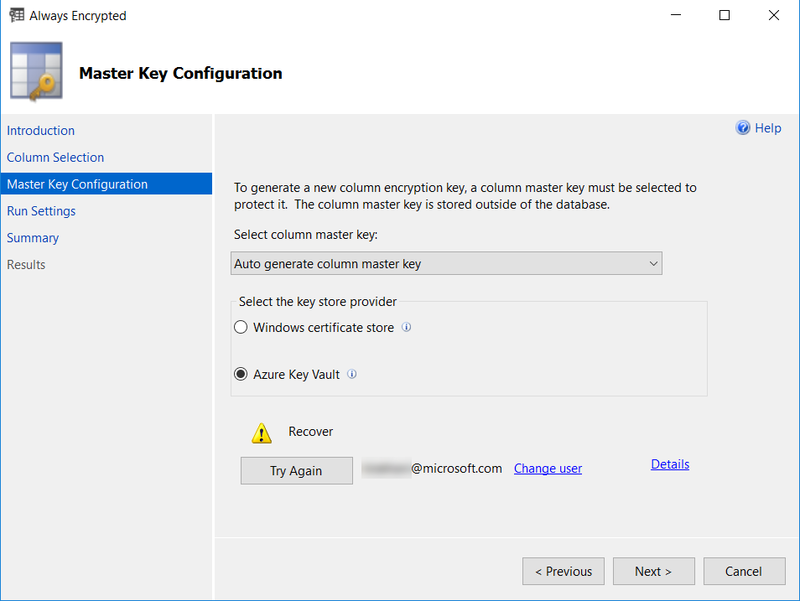 I was able to move forward in the wizard and configure Always Encrypted using Azure Key Vault.